Welsh slate, stainless steel, neon. 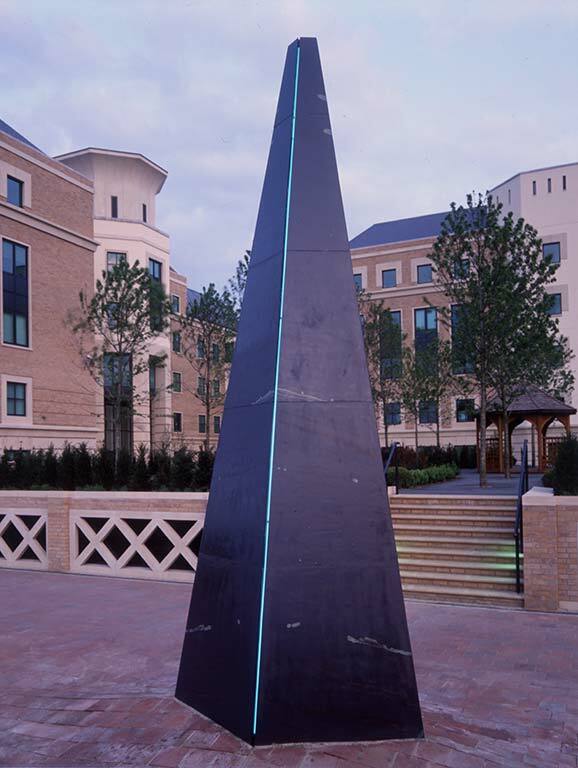 Commissioned in 1993 by Kumagai Gumi (UK) Ltd. and Ranelagh Developments for the Prudential Asssurance Head Offices in Reading, designed by Hamilton Associates. Inner Light consists of two inclined pyramids fabricated in stainless steel and clad with dark violet Welsh slate. The two pyramids stand almost as one with only a 2.5 cm gap between them. 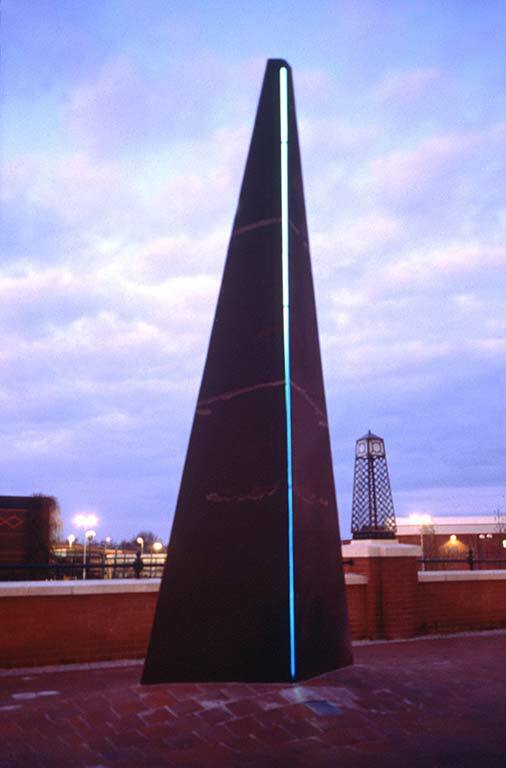 There is a continuous line of neon inset into this space, from the sculpture’s base to its apex. The central concept is that of energy held within matter. Oscar Wilde was held in Reading goal just across the river from the proposed site. 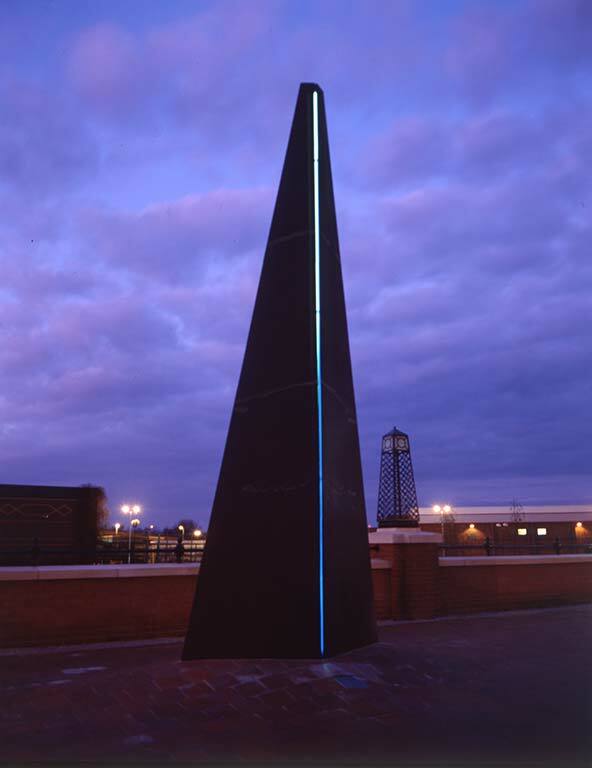 Although Liliane Lijn was not specifically commissioned to design a memorial to Wilde, she was asked to relate to the history of Reading, and felt that the great poet imprisoned there was a darkening of the light.